– Most citizens of ASEAN member-countries as Thailand, Indonesia, Singapore, Malaysia, Cambodia, and Laos do not need a Vietnam visa if they visit Vietnam within 30 days. The Philippine passport holders do not need a Vietnamese visa for 21 days and Myanmar do not need Visa within 14 days. The passport holders of Brunei are not required to get a visa to Vietnam for 15 days. They could apply for popular passport type with return tickets. – From July, 1st 2015 to next June 2016, Vietnam Government exempts Visas for nationals of 5 Western European countries as: France, Germany, Spain, United Kingdom and Italy. They do not need visa if staying in Vietnam less than 15 days regardless of their purpose or type of visas. – Citizens of and Timor-Leste is all required Visa Vietnam. 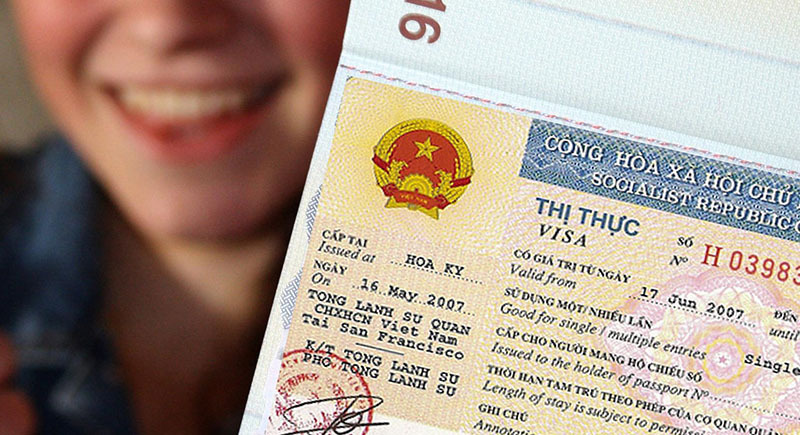 – The Passport Holders from Korea, Japan, Russia and the Scandinavian nations (as Norway, Denmark, Sweden, and Finland) do not need a visa to Vietnam if they intend to stay in the country within 15 days. They could also apply for popular passport type with return tickets. – All other citizens are required to get a Vietnam entry visa (issued prior to departure by local consulates or embassies) or a pre-approved letter for picking up an entry visa (issued on arrival at Vietnam’s International Airports) at the airport. Both are supplied before arrival in the country. The E-visa Vietnam program allows foreign citizens of 40 eligible countries that hold a passport valid for at least six (6) months after arrival to Vietnam, to travel to and within the Socialist Republic of Vietnam for up to 30 consecutive days. It is electronically issued; a single entry visa that must be requested at least two (2) days prior to the departure date. – No visa is required for travel in Vietnam for less than 90 days or several visits within 6 months for citizens of France who holds valid diplomatic or official passports. – No visa is required for travel in Vietnam for less than 90 days or several visits within 6 months for citizens of Chile who holds valid diplomatic or official passports. – No visa is required for 60 days per time with APEC Business Travel Card (ABTC) Holders from Asia-Pacific Economic Cooperation (APEC) member economies. – Foreigners and Vietnamese is holding foreign passport who enter Vietnam through an international border gate to travel on Phu Quoc Island and stay there for less than 15 days will also be exempted from Vietnam visa application. Passports must be valid for at least 45 days. After arriving on Phu Quoc Island, the Vietnamese immigration department is responsible for issuing visas on the spot if visitors want to travel other localities or stay in the island for more than 15 days. – No visa required for Vietnamese overseas for less than 90 days staying if they are holding Vietnam visa exemption certificate.